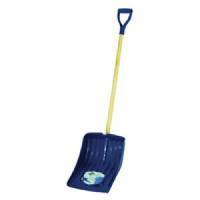 Elbrus Black Economical Snow Shovel Pack of 1 Proven wooden handle. Wide blade to make light of snow. Fitted with a D-grip handle for control and comfort. Wooden handle. Fitted with an aluminium blade edge to give extra strength and durability. Weight: 1.2kg. Colour: Black. Non-Returnable. 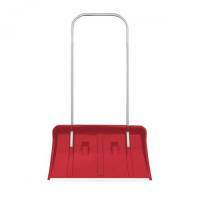 Winter Snow Pusher K1 Red 383682 Pack of 1 Winter Snow Pusher K1 Black/Red. Excellent when cleaning large surfaces of snow. Wide handle can be used by two people. Easy to use thanks to integral wheels. Non-Returnable. Yellow 170 Litre Winter Grit Bin Pack of 1 Grit Bin, Yellow, 170L. Rota-moulded stackable grit bin. Heavy duty durable plastic with rigid structure to withstand heavy contents. Produced from UV stabilised polyethylene. Fork liftable from base. Non-Returnable. 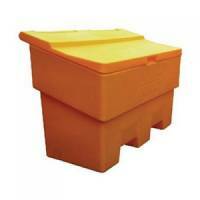 Yellow 285 Litre Winter Grit Bin Pack of 1 Grit Bin, Yellow, 285L. Rota-moulded stackable grit bin. Heavy duty durable plastic with rigid structure to withstand heavy contents. Produced from UV stabilised polyethylene. Fork liftable from base. Non-Returnable. Navy Blue Winter Snow Shovel 383693 Pack of 1 Winter Snow Shovel Navy Blue 383693 Lightweight snow pusher ideal for everyday use. Wide plastic blade to make light work of heavy snow. Wooden shaft. Non-Returnable.